I’m a self-published—or Indie—author. And that is no longer something to be lamented or ashamed of, nor has it been for quite a few years. I published my first book in January 2013, and since then have inflicted several more books on the unsuspecting reading public, with many more planned for the future. If you are thinking about being an Indie author, or you already are one and are ready to quit and get a ‘real’ job, here is my take on Going Indie. I hope overall, I will encourage rather than discourage you. Shall I say at the outset that I am finally making money? Because yes, I write because I love it, and I love the creative process, but at the same time, I need to live. I need to buy food, notebooks, pay bills and assist my hubby in keeping a roof over our heads. And it has taken the best part of five years to get there, though I’m sure plenty of other people could do it in a shorter period. Fully aware of the unbelievably huge learning curve that awaited me, I decided in 2012 to ‘go for it’. How else would I ever see my books in print? How else could I share my words and my worlds with other people? I knew my chances of getting accepted by a publisher were virtually nil—as a creative writing tutor once unhelpfully pointed out to her newly enrolled class, we stood a better chance of getting onto the space programme. Well I was 50 in 2010, so I stood absolutely no chance of going into space (not that I wanted to) so where did that leave me with my dreams of being an author? It was obvious I only had one option available, so I took it, hesitating and afraid, but with a sense of audacity. Did I really dare to do it? Yes, I decided, I did. Oh and by the way, I was still working full time at that point. What did I have to learn? The short answer is everything. I had to learn how to edit and proofread. I read everything I could, did some courses to brush up my grammar skills, I even got a lot of work as a freelance proofreader and editor. I had to learn to do this myself as I couldn’t afford to pay anyone to do it for me. I researched how to format a book for the various self-publishing platforms. I learned how to do this myself as I couldn’t afford to pay anyone to do it for me. I had reasonable computer skills but knew nothing about creating a manuscript from a computer document. That was all new to me. 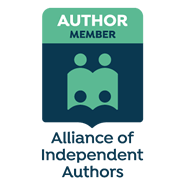 I researched the different self-publishing platforms as I knew nothing about them, and I wasn’t really in any kind of group or society or anything where I could ask other people. I was at that time completely out of touch with other self-published authors. Then I had to write the books. And edit, then rewrite, then edit, the rewrite, then edit… I knew that you couldn’t just finish a first draft and put it on Amazon as a book. I now know that when I’ve finished a first draft, that is just the beginning of the process. It’s the bit I find hardest, actually. I love rewriting, that is freeing and creative, but putting the bare bones down on the page? That’s tough. I tried using betareaders. That didn’t work for me. All that happened was the nice ones said, ‘Yes it’s wonderful’, and the others all just said the opposite to everyone else. I ended up with a new opinion for everyone I asked. Not helpful. So I didn’t bother with that again. Though I do now have writer buddies I occasionally run an idea or dilemma past. I had to learn how t o create book covers. I tried Fiverr, and sorry to be mean to anyone but I got nothing worth using. And again, I couldn’t afford to pay anyone to design and create my covers, so again, I had to learn to do it myself. Now I find it so satisfying and it helps me to fix a book in my head, makes it come alive. To begin with I used PowerPoint, with stock photos from Morguefile or Pixabay. You can create a slide the size of a book cover (research the correct size—a quick Google search will give you that) then when you’ve finished fiddling with it, you can save itas a jpeg. And hey presto! This is one of the first ones I made. It’s not great but I used it for quite a while before I made something a bit nicer.These days I still make my own covers, and I still use Pixabay or Shutterstock, but I now use Canva—which is wonderful flexible and FREE to make some very acceptable covers. And my other marketing materials. Here’s a couple of examples of covers I’ve made on Canva, I’m really proud of these even if they still look a bit homemade. I love them, and more importantly, the books are selling. so take time to think about a good cover for your work. It needs to both blend into your genre or niche, yet stand out. Prospective readers should get a vague idea of what the story is about, and know what to expect from your cover. It’s essential the title and your author name can be read in the thumbnail size, so make sure they are really bold and clear. Janus is the Roman god who has two faces, enabling him to look forward and backward at the same time. It is often (possibly erroneously) supposed the month January is named after him, poised as it is at the beginning of the new year yet with the old year still very much alive in our memories. Once Christmas is over and the new year begins to beckon, we are seemingly in both places at once. 2016 (what an awful year, in so many ways) still dominates our thoughts and yet, here it comes, 2017, looming on the horizon, bright, shiny and new, full of possibilities, an unwritten page. So we look forward and back at the same time, for the moment torn in our thoughts and plans, divided in our dreams, not yet able to completely commit to the new, the undiscovered, and still holding onto all that has happened during the twelve months of 2016. We long for a fresh start. If 2016 is the experienced adult, bent by experience, then 2017 is the innocent child.The joyous optimism of leaving the past behind and reaching forward to something new and good is irresistible. And so we plan and and resolve to make changes in our lives. I am keeping my list of resolutions simple this year. I am going to write more, read more and enjoy life more. Good riddance, 2016. Thank God you’re here, 2017!